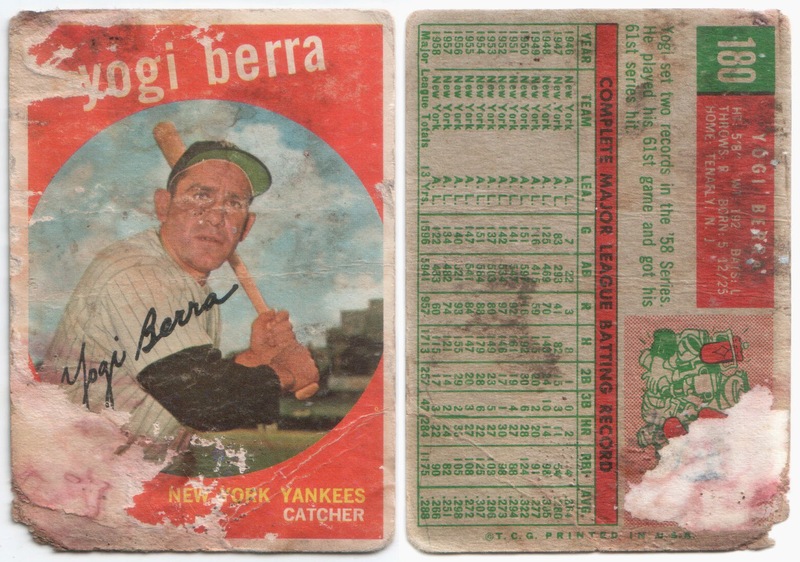 You rarely hear Yogi Berra's name associated with the game's greatest. Babe Ruth, Ty Cobb, Lou Gehrig, Mickey Mantle, Willie Mays, Hank Aaron and Roberto Clemente seem to be in the conversation. But what about Yogi? Some consider Yogi Berra the greatest catcher ever. There's no doubt Yogi Berra should be a part of the conversation. What do you think? *whistle* Wow Yogi really went through the ringer on this one. Mom didn't just throw this one out she had to put it in the laundry first didn't she?